An evergreen Clematis originating from the Mediterranean. 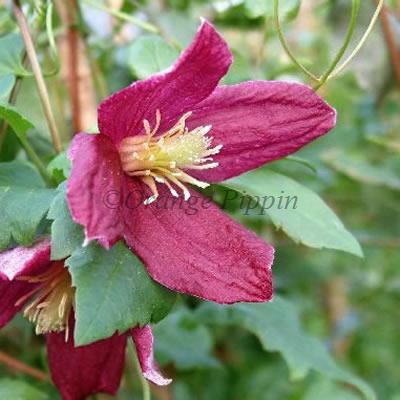 Clematis cirrhosa 'Lansdowne Gem' produces small, nodding, bell-shaped, wine-red flowers with creamy, lime-green centres during the late winter from December to February. This wonderful climber with its delicately cut shiny green leaves will flower whether given some sun or a lot of sun and can be grown against a trellis, garden fence, wall, arches, pillars, pergolas or simply allowed to ramble away amongst the border with adequate support. 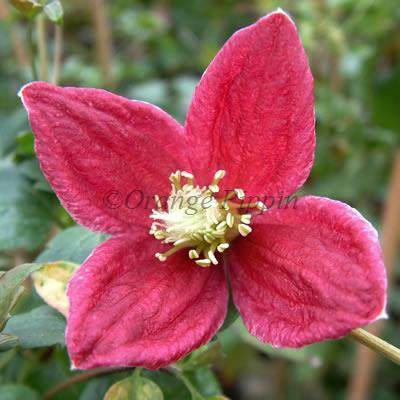 Clematis cirrhosa 'Landsdowne Gem' was discovered in 1995 by Michael Jerard of Christchurch, New Zealand.